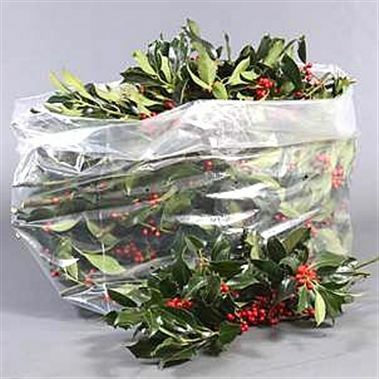 A large bag of Green Holly with Red Berries. Approx 3Kg in weight. Please note, weights will always vary on these types of product.